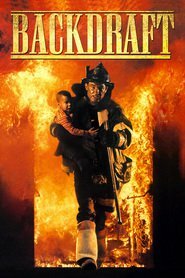 Overview... a rookie firefighter constantly overshadowed by his gutsy, revered older brother Stephen “Bull” McCaffrey. Their father was also a firefighter, but tragically died while on duty. Now both brothers have something to prove to themselves and each other as they try to solve a string of criminal fires. Personality… confident and even cocky in most realms, except firefighting. In the latter, Brian knows he needs he still needs to prove himself as worthy of his family name. He’s competitive with Stephen and wants to be the best firefighter, but he knows deep down that Bull might always have the upper hand in that realm. On the other hand, Brian is quite a smooth operator with the ladies and a charming guy in general. Brian McCaffrey's popularity ranking on CharacTour is #4335 out of 5,000+ characters. See our top-ranked characters and read their profiles.